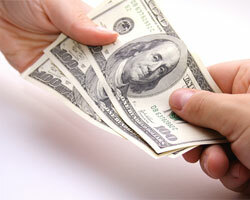 Pay Day loans are a great option when you need a little bit of cash and want to have a short term loan. You can borrow up to $500 at a maximum term of three (3) months at 18.00% APR. NO debt to income ratio calculated and typically no credit report required! Only one (1) Pay Day loan at a time. Provide a copy of your most recent payroll check stub and be enrolled in direct deposit.